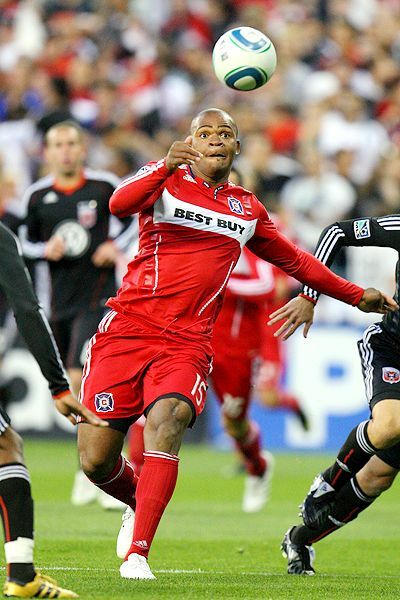 BRIDGEVIEW, Ill. -- Chicago Fire forward Collins John has been absent from the pitch for a good portion over the past month, and everyone from Fire fans, to the organization and John himself wanted to know exactly what has kept him out of action. After several doctors ran some tests, the Fire are going to label John's setback as gastrointestinal illness. "Something was not very usual to have in my body, but I think that I'm done with it," John said Thursday. "It's not like a virus. Something didn't just enter my body all of a sudden. I think it was something that I was born with, like a family kind of thing."